Fredrick Carlton Lewis, more popularly known as Carl Lewis was a 10 time Olympic medal winner and a former track and field athlete. Besides his Olympic medals, Lewis has also won 10 World Championship medals. Lewis has received a wide range of accolades, some of which include “World Athlete of the Century”, “Olympian of the Century”, “World Athlete of the Century”, “Sportsman of the Century” and several others. Lewis was a free mind who was always ready to try new things and he also encouraged his fans to keep attempting new things and keep their minds free. 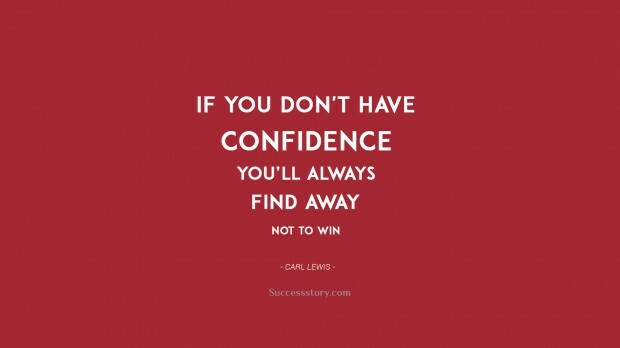 "If you dont have confidence, you will always find a way not to win."